the internet. Children are limited in their ability to sort out important and needed information. SUGIYO, Yuli Kurniawati; ZULFIKA, Sony; WIDAYANTI, Widayanti. Evaluasi Program Webinar (Web-Based Seminar) Parenting Education Sebagai Upaya Meningkatkan Literasi Media Digital Dalam Mendidik Generasi Z di Kota Semarang. Journal of Studies in Early Childhood Education (J-SECE), [S.l. ], v. 1, n. 2, p. 108-117, nov. 2018. ISSN 2615-5389. Available at: <http://e-journal.ivet.ac.id/index.php/sece/article/view/719>. Date accessed: 22 apr. 2019. doi: https://doi.org/10.31331/sece.v1i2.719. 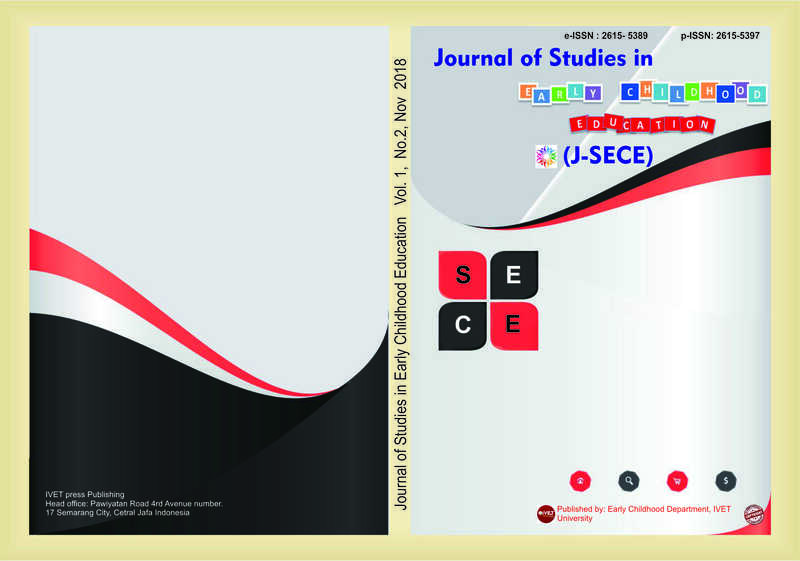 Journal of Studies in Early Childhood Education (J-SECE) : Journal of SECE is licensed under a Creative Commons Attribution 4.0 International License. Publisher Address : Building E, Early Childhood Department, , Institute of Education Veteran Semarang, Pawiyatan Luhur Street 4th Avenue No.17th Semarang City, Central Java, Indonesia. Post Code: 50233.